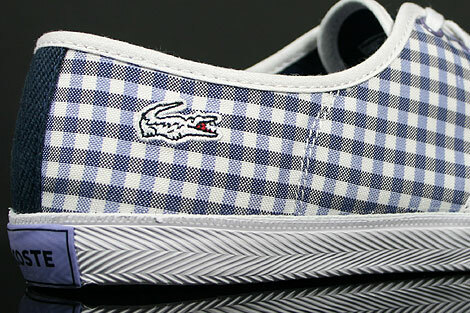 The Lacoste Gambetta GMP SPW Blue White is a lightweight lace up canvas shoe with textured rubber outsole, comfort footbed and a nice pattern in blue and white on it. 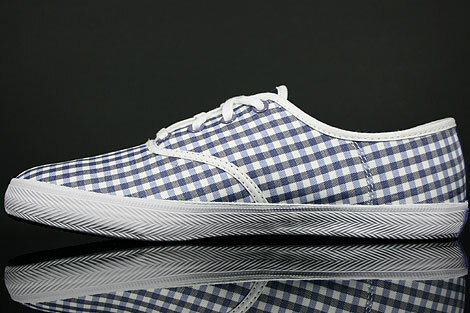 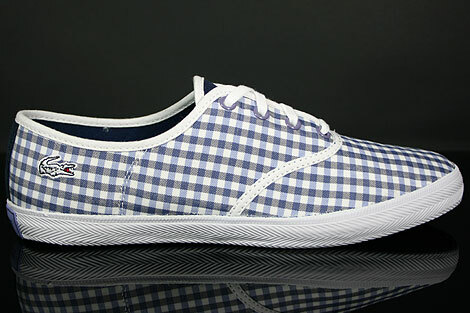 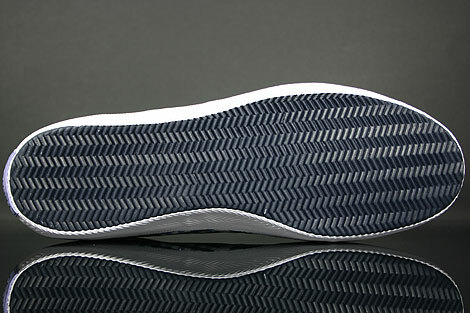 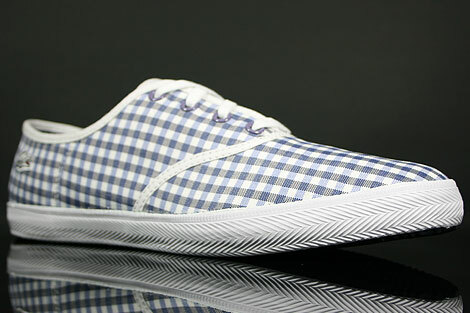 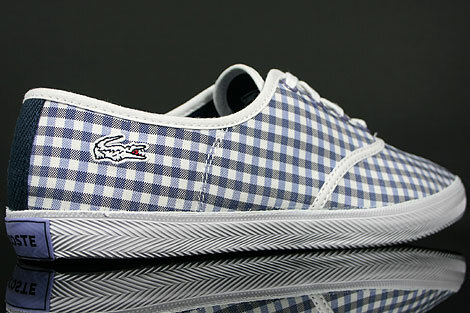 Featuring a white sole unit, dark blue outsole, dark blue canvas lining and a decent pattern with blue and black checks on it. 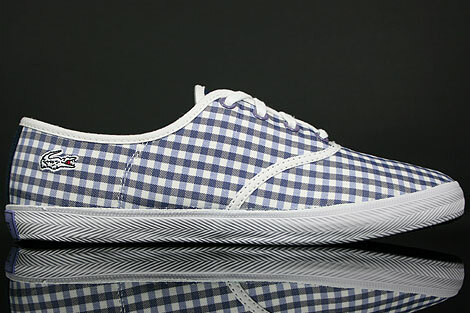 These sneakers will brighten up your day.